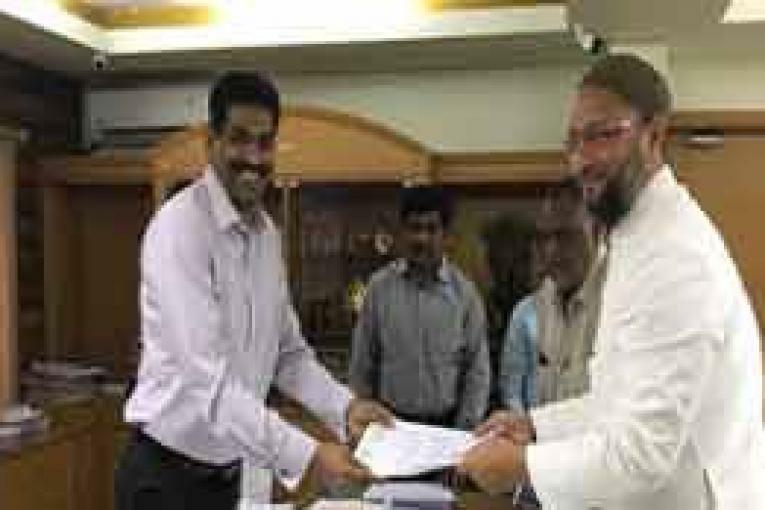 Hyderabad: AIMIM Supremo Asaduddin Owaisi, who filed his nomination for Hyderabad Lok Sabha constituency on Monday, declared assets worth over Rs 13 crore but he owns no vehicle. The President of Majlis-e-Ittehadul Muslimeen (AIMIM) owns no car but has a NP Bore .22 pistol worth Rs 1 lakh and a NP Bore 30-60 rifle worth Rs 1 lakh. He has Rs 2 lakh cash in hand and bank deposits worth over Rs 43 lakh.